On September 18 Apple will release its latest edition of the iPhone 5S. 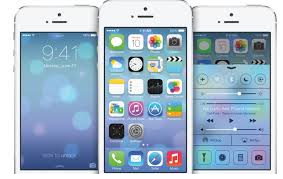 This new incarnation of the original smartphone comes with the latest version of Apple’s operating system, iOS7. This means the new phones will need updated versions of apps on iTunes Connect. Apple is already on the ball. They’ve reached out to developers with a pre-release version of Gold Master (GM). Normally pre-release versions don’t include everything contained in the final version, but this release is expected to have everything intact. The app store has also been approving new entries within 24 hours, and this suggests that Apple is ready for an influx of new iOS7 apps once the new phone launches. If you’re an iPhone app developer, you need to get your hands on this post haste. The new iPhone is the first to be powered by Apples A7 chip with gives it 64-bit compatibility. The new phone also has integrated API for AirDrop, games, multitasking, and the camera as well as some new APIs that make full use of the 5S’s enhanced capabilities. Experts are saying that we can expect to have a different feel with 5S apps. There will be less 3D, and more animations and depth of layers. The new interface will be lighter and brighter than its predecessors. Apple also published a for iPhone app developers to make the most out of the new technology. The increased computing power and 64-bit compatibility give it desktop level performance. The CPU is twice as fast, so it should be interesting to see what it will be capable of. The new phone also features an M7 motion coprocessor which works with the A7 processor. The M7 is for health and fitness applications like tracking how far you run, and fast you’re riding your bike, for example. This opens up the doors to a whole slew of app possibilities for developers to run wild with. Any iPhone app developer worth their salt will be looking at this already, and getting the new GM to their team. Software Developers Inc, a developer based in Silicon Valley, enjoys a sterling reputation as an app developer for the iPhone, and they’ve already begun playing with the new operating system to prepare for what will surely be a rush of new requests from customers who need their apps updated to be compatible with the new iPhone release. It’s coming soon. Better get on top of it before you’re left in the dust. Sakshi Sharma is working as mobility strategist at SDI and author of this article. She loves blogging and has vast knowledge on Mobile & Web app development. She can be reached at team@sdi.la . For more details please Visit www.softwaredevelopersindia.com or Follow SDI on Google Plus to learn more!